Editor’s note: The €2 billion (U.S. $2.3 billion) sum mentioned in this article is for the development of the F4 standard for Rafale aircraft. PARIS — The French government has signed a €2 billion (U.S. $2.3 billion) contract with Dassault Aviation to develop the Rafale’s F4 standard, which is expected to be validated by 2024, although some functions will be ready by 2022. French Armed Forces Minister Florence Parly also confirmed with the manufacturer that it could move forward with production of the last 28 aircraft of the 180 it has on its order books. The 28 aircraft will include some F4 functionalities and be delivered to the French Air Force from 2023. Parly announced that a further 30 aircraft at the full F4 standard would be ordered in 2023 for delivery between 2027 and 2030, taking the French Rafale fleet to a total of 210 fighters. The F4 standard will include upgraded radar sensors and front-sector optronics, as well as improved capabilities in the helmet-mounted display. It will have new weapons — notably MBDA’s Mica NG air-to-air missile and the 1,000-kilogram AASM air-to-ground modular weapon — and be able to carry the new Scalp missiles. It will also be equipped with the Talios multifunction optronic pod made by Thales. Can Germany and France live in harmony when it comes to arms export policy? The Rafale F4 will feature connectivity solutions to improve the aircraft’s effectiveness in network-centric warfare. 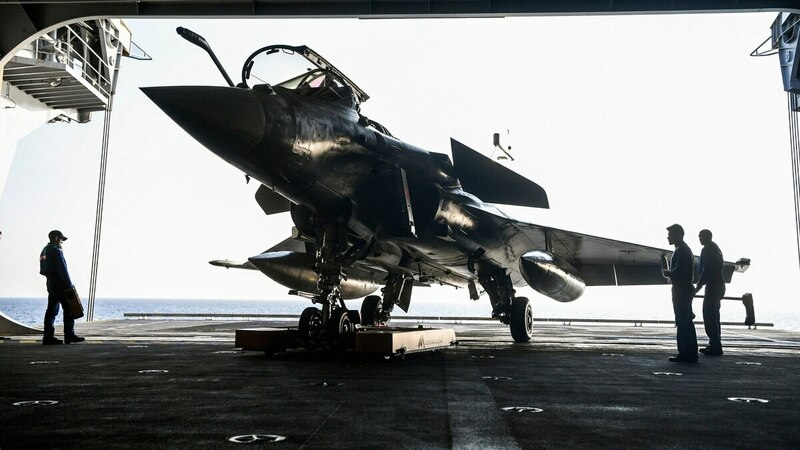 “We’ll be able to receive more data, strengthen our data rate, talk, receive, notably thanks to satellite communication and software-defined radio: the Rafale F4 will move even further into the era of data,” Parly said at the Dassault factory in Mérignac near Bordeaux. The F1 standard was specific to the first aircraft for the French Navy. The F2 standard gave it air-to-ground and air-to-air capabilities, while the F3 and F3R gave it extended versatility.